A reliable and cost-effective auto steering for precision farming that increases work accuracy, saves fuel, and reduces operator's stress and fatigue. The Farmnavigator Auto-steering System controls your vehicle steering, and helps you stay on track following with great precision the guide lines set on the Farmnavigator. This way, you can switch from the "light bar" system to automatic driving, meaning you can focus on controlling the implements instead of worrying about the steering wheel, which improves the quality and effectiveness of the job. Such a system is very useful in scarce visibility conditions, in case of fog and dusty fields. You can disengage the auto steering by firmly grasping the steering wheel; vice versa you can engage it very easily by tapping the corresponding icon on the Farmnavigator display. The Farmnavigator Auto-steering System allows you using the whole length of your implements, maximizing the crop area and reducing overlapping. This system saves you time (as the headland maneuvers will be faster) and saves you money, reducing waste of fuel, seeds and fertilizers. This results in a quantitative and qualitative improvement of your crop, and a higher return on investment. It converts information from the Farmnavigator into actual steering commands. 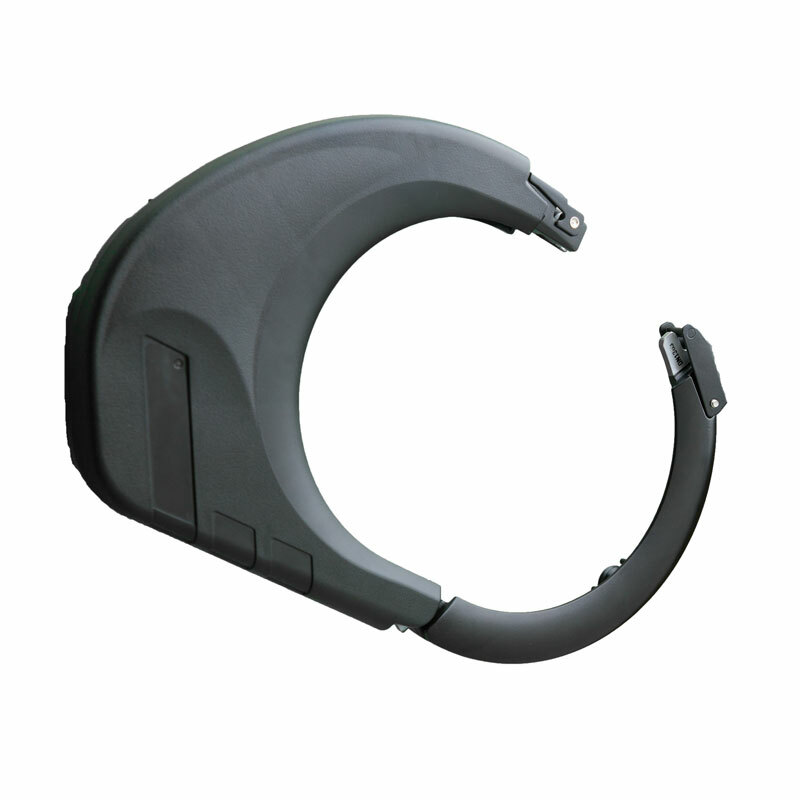 The MDU mounts on existing steering wheel without requiring its removal thanks to the Patented universal ring gear. The MDU simply clamps on and off for fast and easy transfer across vehicles of different brands and types (tractors, sprayers, spreaders or combines). 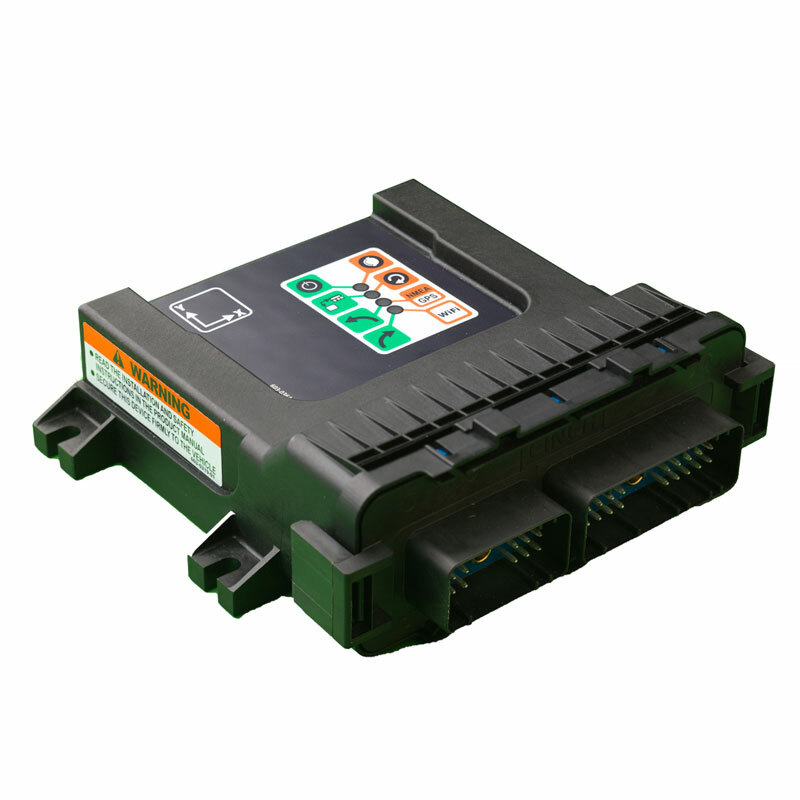 The Farmnavigator ECU houses the compass, gyro and accelerometers used to detect orientation and movement of vehicle. It receives corrected GPS data from the external receiver, and converts information from the Farmnavigator to actual steering commands. 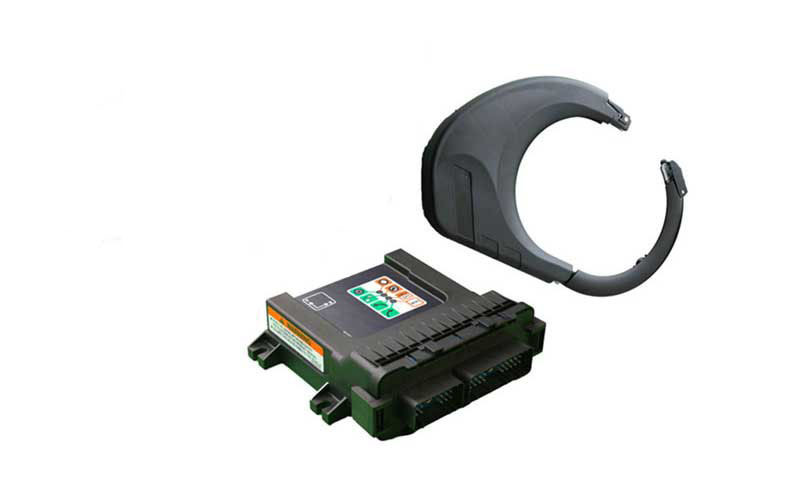 • Supports all vehicle interface types: Mechanical, ISO/CAN, Hydraulic and Factory steer ready. • Custom install kits are available from Novariant to simplify installation for over 750 models of agricultural machines. Combine the Auto-Steering System with the Farmnavigator Automatic Section Control to optimize your work! 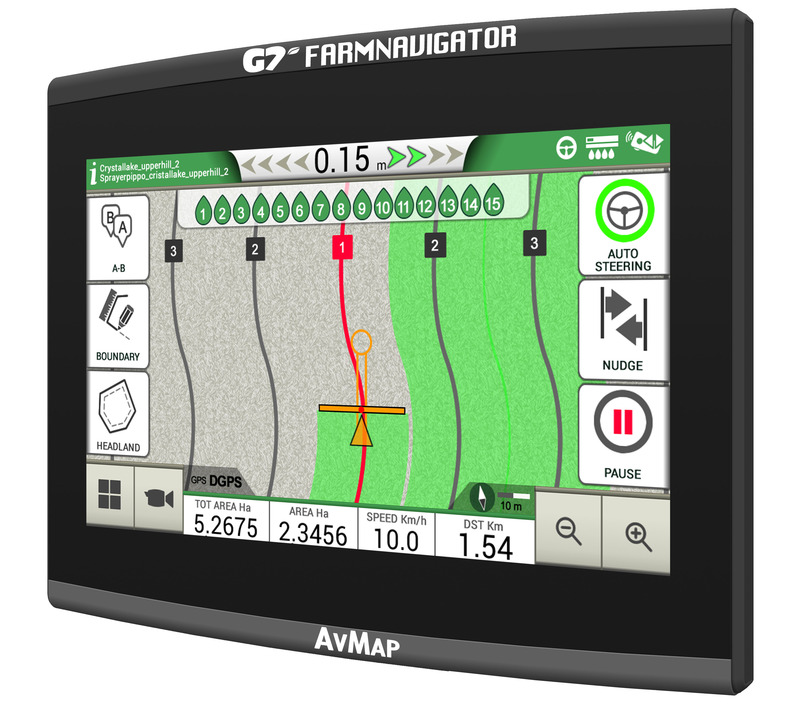 The Automatic Section Control is obtained connecting G7 Farmnavigator to a compatible controller. G7 Farmnavigator calculates the exact treated area and controls automatically the boom sections (based on the position received by the DGPS antenna) in order to avoid treatment overlaps and risk of crop injuries. The receiver (not included) connects to G7 Famnavigator via serial cable. 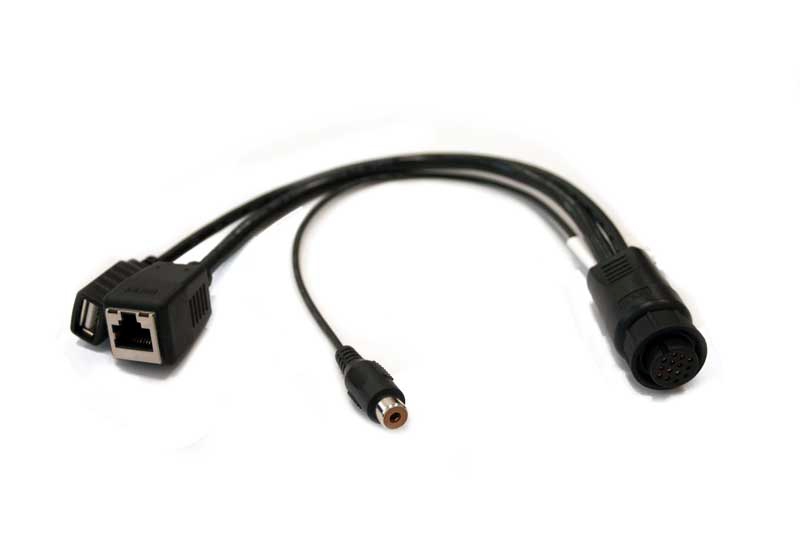 The G7 Farmnavigator connects to the ECU through the USB-VideoIN-Ethernet Cable. 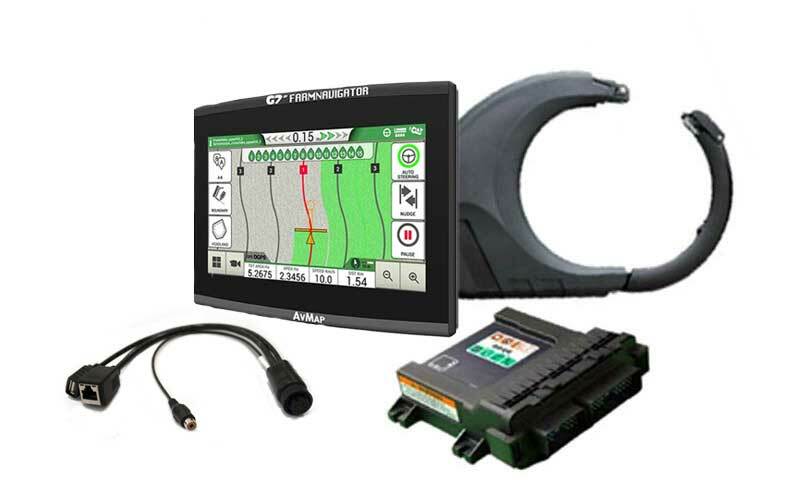 Easily configure the ECU following the step-by-step wizard on the G7 Farmnavigator display. • Included connection cables: cable harness (ethernet, power, NMEA-A, NMEA-B, Expansion, CAN); ECU-MDU cable.